ESET's affordable, easy-to-manage security solutions protect your network, computers, mobile devices and users 24/7. Safeguards against costly data breaches and compromised passwords by requiring an employee's smartphone plus a one-time password. Get insiders' tips and updates on cyber security with ESET's WeLiveSecurity blog. 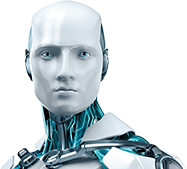 See how ESET beats the competition in independent testing.